Tipples is a family run business based near Hanwood, Shropshire. Owned and run by Charlotte and Tim Aversa, Tipples is the premier event hire company in Shropshire and has an extensive range of crockery, serviceware, furniture and kitchen hire. Chillie Breeze is run by best friends Diane Breeze and Julie Childe. They operate the most sought after bespoke wedding and party decorating business in the UK. No two events are the same with these girls and their enthusiasm for your big day is unmatchable. Jon Sykes and his team of highly skilled butchers are the best in Shropshire for quality and reliability. We work closely with Jon to ensure top grade produce and the perfect cut every time. Ian Cornall and his team of brilliant fishmongers operate out of Shrewsbury Market Hall and supply most of the best restaurants in the county. Ian has a big focus on sustainability and quality of produce. He also sources a lot of seafood from within British Waters. Another family run business operating out of Wem Business Park, Neil and his team provide a personal service with exceptional quality fruit and vegetable supply. Nothing is too hard to find for these guys! 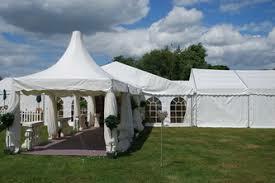 Adrian Proudlove and his hardworking crew provide top spec marquees all over the county. He is our go-to if anyone asks us for a recommendation for a marquee. No job is too big for Adrian and he will happily discuss any needs you have.